6Dg-01, photographed in Gdańsk on October 11, 2007. Photo courtesy Krzysztof Malinowski. …and its control panel; both photos by Maciej Górowski (thanks a lot! ), who has been responsible for the cab interior design of this locomotive. 6Dg-025, operated by PNUIK Kraków track maintenance company, was rebuilt from SM42-2361. This picture was taken near the Warszawa Wschodnia station on August 5, 2011. 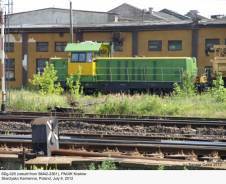 Another (and unfortunately not much better) picture of this locomotive, taken in Skarżysko Kamienna on July 8, 2012. 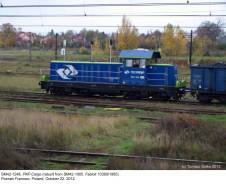 SM42-1246 (rebuilt SM42-1065), photographed near the Poznań Franowo station on October 22, 2012. 6Dg-103, Pol-Miedź Trans; Skarzysko Kamienna station, May 29, 2013. SM42-1228 (rebuilt SM42-934, Fablok 9823/1977), photographed at the Kraków Prokocim station on June 20, 2013. …and SM42-1297 (rebuilt SM42-875, Fablok 9557/1976). SM42-1268 (rebuilt from SM42-863); Turoszów station, March 27, 2014. SM42-1203 (rebuilt SM42-1080), photographed in Nysa on the same day. Factory-fresh 6Dg-148, ready for dispatch to Lotos Kolej. Newag factory photo (from www.kurierkolejowy.eu). 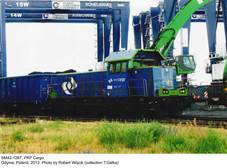 …and SM42-1301 (rebuilt SM42-872), both operated by PKP Cargo. 6Dg-025 again, this time photographed at the Pilawa station on July 30, 2017. In 1964, Fablok delivered first SM42 switchers (factory designation type 6D), which were eventually built in large numbers, both for PKP and industrial operators. 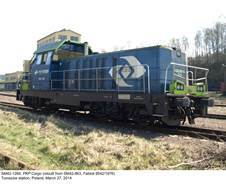 SM42 is perhaps the most popular Polish locomotive, known to every railway fan. Production continued until 1992 and total output – including later variant SP42, or type 101D, for light passenger trains, which differed only in car heating equipment – exceeded 2000 examples. Most of them still remain in use. Obsolescence of the basic design, in particular diesel engine, forced a number of modernization programs, of which some saw fruition. 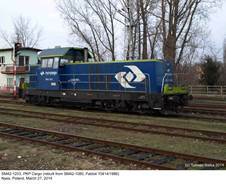 These have included PKP’s SM42-2000 (MTU 12V396TC12 diesel engine, rated at 950 hp) of 1996 and type 6Dd, or Ls1000, delivered to PTKiGK Rybnik (with 1000hp MTU 8V396TC14); until now, however, only one and two examples, respectively, have been rebuilt to these standards. 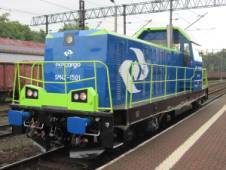 More extensive redesign was submitted by Newag in 2007; this company, which had evolved from ZNTK (Railway Stock Repair Works) of Nowy Sącz, founded in 1876, recently also produced an extensively redesigned ST44 (M62) version, known as type 311D. SM42 modification, with factory designation type 6Dg, in fact retained only frame and wheelsets of the original variant. Power is provided by Caterpillar C27 V-12 diesel engine, rated at 875 hp and compatible with latest European emission standards. 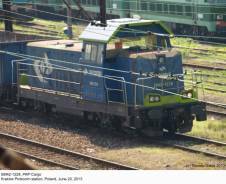 This engine is coupled with Siemens 1FC2 454-4B099Z main generator. LSa-430 traction engines have been retained, although thoroughly revised and up-rated. Other modifications include state-of-the-art control and diagnostic systems and remote control installation. 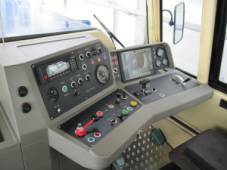 Crew comfort has been substantially improved, due to air conditioning system, improved visibility, reduced vibration and heated windscreen; the cab is also fitted with a refrigerator, microwave oven and washbasin. External appearance has been completely changed and 6Dg bears almost no resemblance to the familiar SM42. 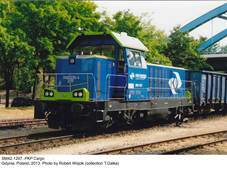 First reports from railway fans even suggested its Czech origin! 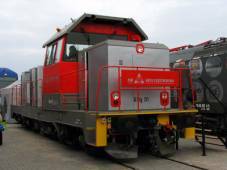 This ‘new’ locomotive is intended mainly for switching, but can also be used with light freight trains. It was shown for the first time at the TRAKO International Fair in Gdańsk in October 2007. 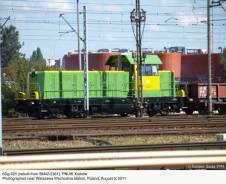 First example – a rebuilt SM42, designated 6Dg-01 – was delivered to the Częstochowa steelworks. Two more (6Dg-02 and 6Dg-03), for the same operator, followed in November 2008 and further three were delivered in 2009. 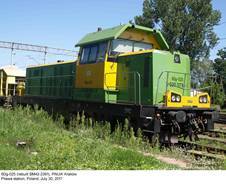 In June 2011, Kraków-based PNUIK track maintenance company took delivery of 6Dg-025 (ex SM42-2361) and 6Dg-026 (ex SM42-2137). Two more, 6Dg-033 (ex SM42-2128) and 6Dg-046 (ex SM42-7585) for another private operator, PTK Koltar, followed in August and November 2011, respectively. Pol-Miedź Trans has been the largest customer, with nineteen examples delivered between September 2011 and 2016 (starting with 6Dg-039, ex SM42-2037). Some of them were fitted with remote control equipment. 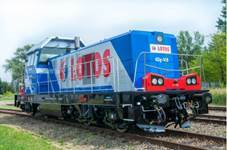 Another major recipient was Lotos Kolej, which has teen locomotives obtained in 2015 and 2016; some of them previously saw service with other operators. Currently (mid-2017) fleets of various private operators include 48 locomotives of this type and further deliveries are likely to follow. 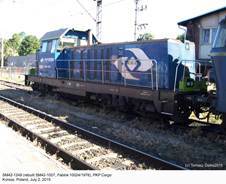 Two years after the first official presentation of the type 6Dg, also at the TRAKO fair in Gdańsk, Newag showed its variant for PKP Cargo, numbered SM42-1501 and differing in details (including modified body). This locomotive was later re-numbered SM42-1201 and underwent service evaluation in early 2010. 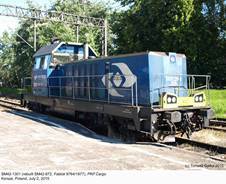 Until mid-2013 PKP Cargo took delivery of 121 rebuilt locomotives, those from SM42-1204 onwards being fitted with the same prime mover, but boosted up to 960 hp.